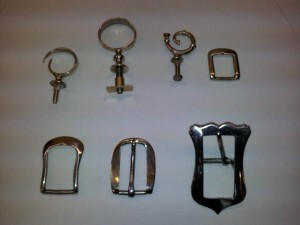 Brown trade harness we make with some of the solid nickel silver traditional furniture we have especially casted. 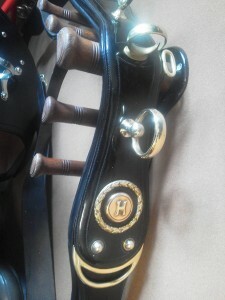 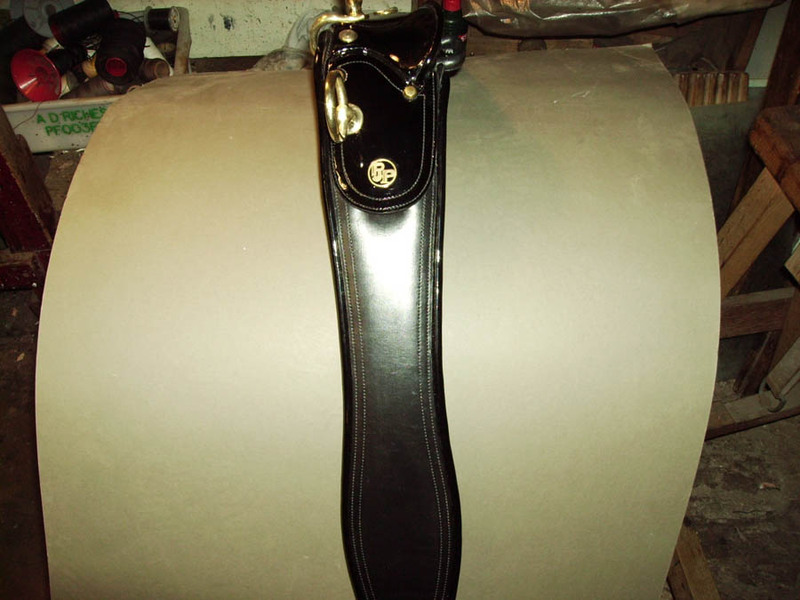 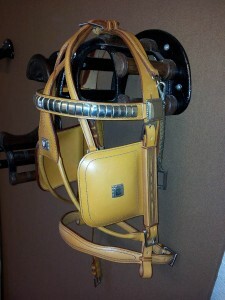 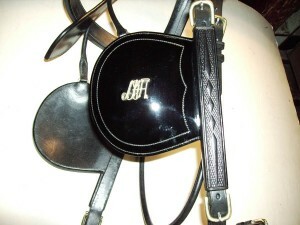 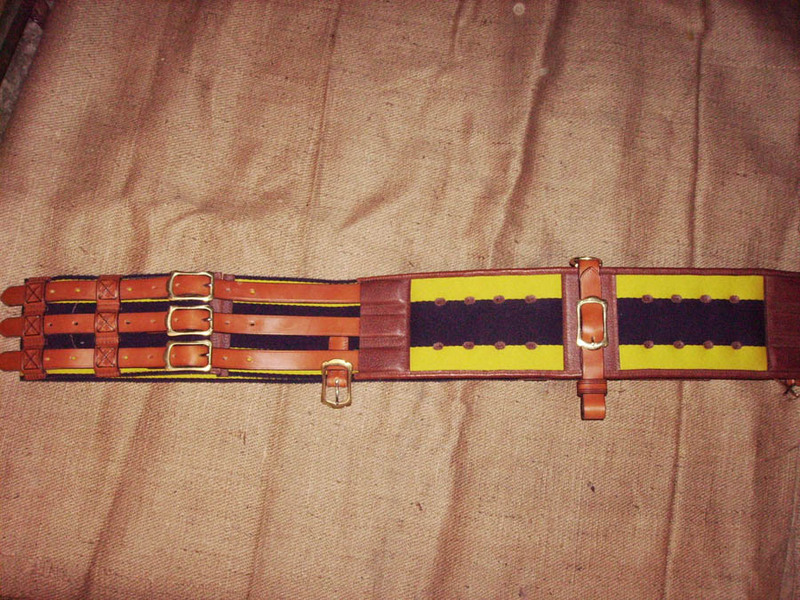 A typical Romany style bridle made in the Sharlinsky manner (black and tan) on nickel silver shield shape buckles. Light gig or private driving harness, on right are some of the styles of monogram and decorations which we have made to customers requirements. 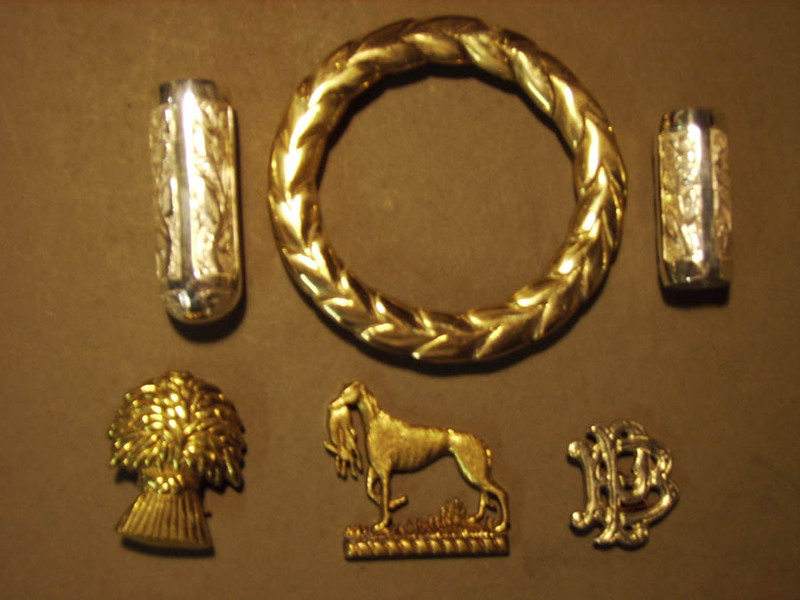 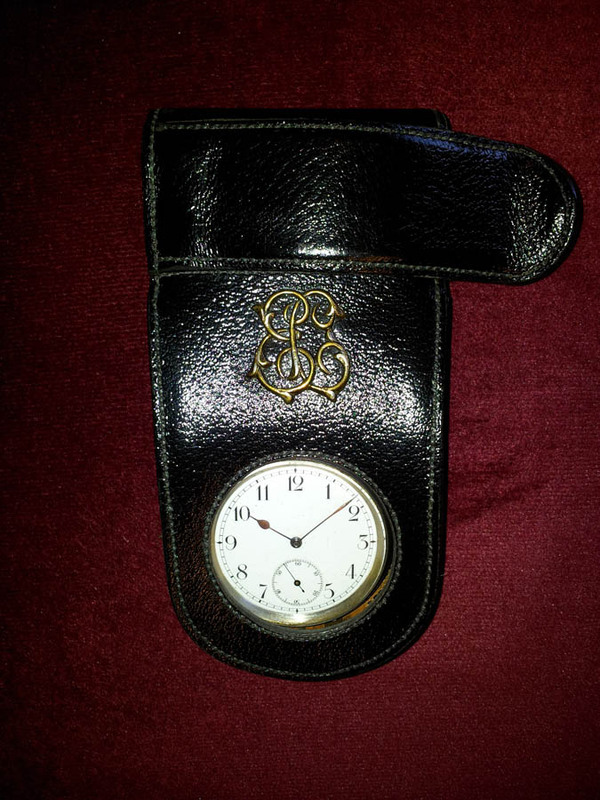 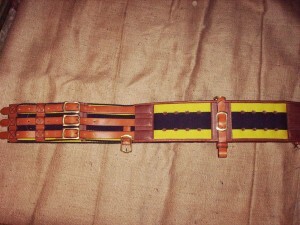 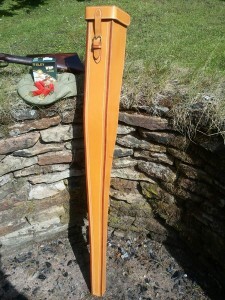 A watch case and rein clip for placing on the dashboard of a carriage. 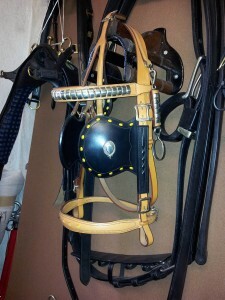 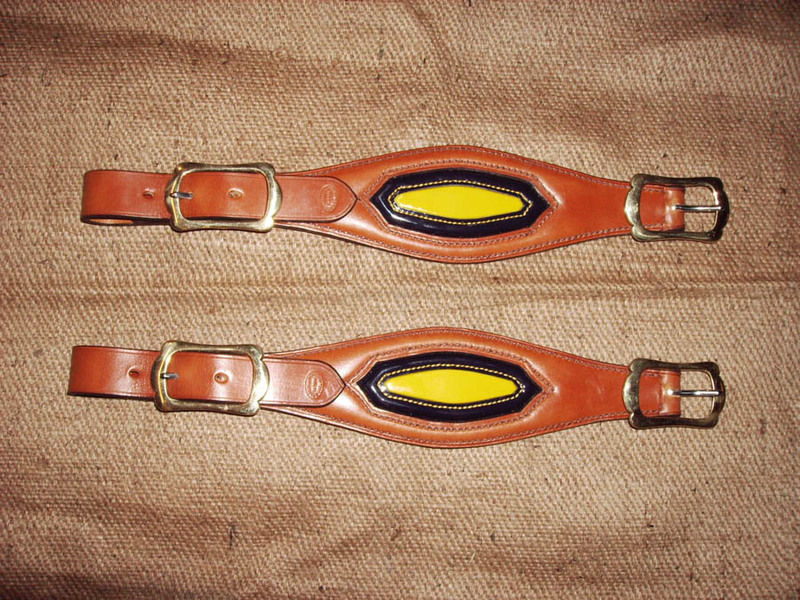 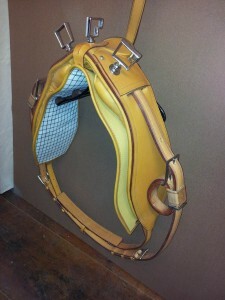 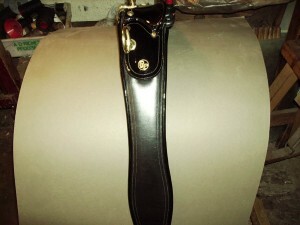 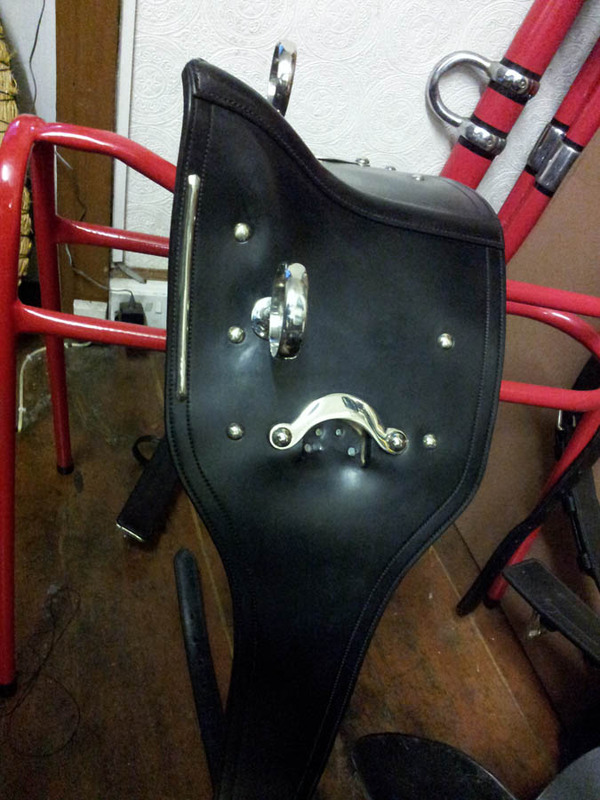 We make many types of harness the example on the left is a Glasgow van pad, in the centre is a shire pair pad. The gun case on the right was a special commission.